Is Go Green Store an online only store? Yes, we are an Online store. Our Premises is only for collections. Where is Go Green Store located? We are an ONLINE store located in Johannesburg. We do not have a brick and mortar store to visit. Please note: Go Green Store will not be held responsible if for reasons outside of our control the delivery is delayed. Do I need to register to order? No, you can order and checkout as a guest. It does make it easy for you not to repeatedly enter your details the next time you need to order if you register. How do I place an order from Go Green Store? Add your items to your cart as a guest or registered user and pay using our easy payment methods. Can we collect our orders from Go Green Store? Yes, you are welcome to collect your orders from us in Johannesburg. We simply request that you arrange your collection from any of our sales agents as they are mostly mobile driven agents. Unfortunately not, our couriers are not allowed to take any cash payments on behalf of Go Green Store. You may pay cash on collection without issue. Can I swipe my card at your premises? We are an online store that offers many payment methods for your convenience including online card payments. Unfortunately we do not carry card (POS) machines. What is the warranty on our products? We do not sell grey imports. All defective products under warranty are sent to the relevant supplier or official service for repair or replacement. Is shipping really free for all orders? 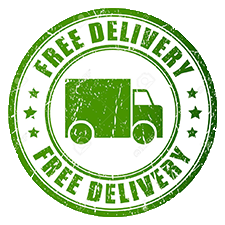 Free delivery is for all orders over R2000 destined to main centres. Delivery charge of R114.00 incl vat for orders below R2000. R180 incl vat for orders in outlying areas below R5000. Couriers are charging close to these amounts and we try to align to their pricing. You are welcome to arrange your own courier for shipping. Yes, it is very important to us that you are satisfied with your goods. You have 7 days to return your goods to us. Goods returned by your decision will be at your expense including shipping. Damaged or faulty goods will be at our cost in full. 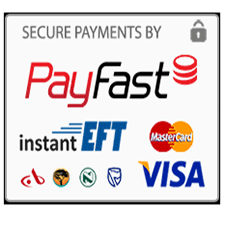 Card payments via the Payfast system. 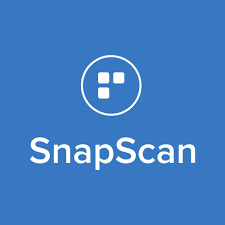 Snapscan using a QR code scanner. Yes, all our prices are negotiable on larger quantities. Most of our prices are already discounted but we are always will to assist where we can. How do I contact the Go Green Store? We understand that speaking to a person is and always will be important. No, we use 3rd party agents to conduct business with our African counterparts. Requests will be passed onto them and they will handle all queries.